Porto Cervo, Italy. 12th August 2016. 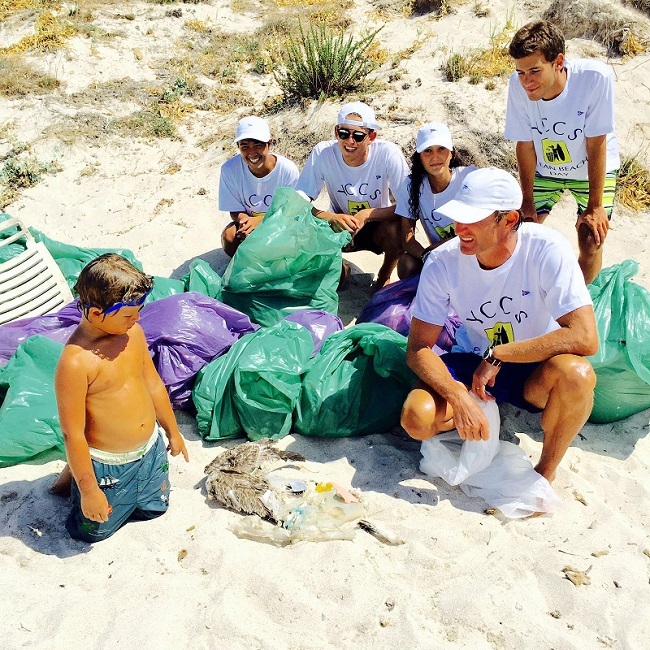 Yesterday, 12 August, the Yacht Club Costa Smeralda organised its first ‘Clean Beach Day’ dedicated to removing rubbish from areas of the local coastline. The initiative came from the Club’s desire to take action to combat the ongoing damage to the environment which has now reached such levels that it can no longer be ignored. Members and management agreed during the association’s recent Annual General Assembly that an important signal needs to be launched to raise awareness of environmental issues. The day dedicated to the surrounding environment was held in one of the world’s most beautiful natural settings, within the geomarine National Park of the La Maddalena archipelago. The crystalline waters and white sands of the area are clearly worth protecting and the YCCS also chose to involve its group of junior members, raising awareness among its youngest associates of the value of being able to swim in clear seas and play and relax on uncontaminated beaches. Youngsters and children accompanied by family members left the dock in front of the Yacht Club Costa Smeralda early yesterday morning headed for the island of Mortorio after an intermediate stop at Cala Petra Ruja beach. Armed with gloves and rubbish bags and wearing specially provided t-shirts and caps, the volunteers collected numerous bags of trash including cigarette butts, tin cans, plastic cups, bottles, glass, rusty iron, plastic nets and pieces of old beach chairs. Even the remains of a dead seagull turned up amongst the plastic waste. The young helpers certainly got up close and personal with the problem of litter contaminating the beautiful coasts of Sardinia. An additional positive aspect of the day’s action was the reaction of holidaymakers on the beaches. Upon seeing the mixed group of volunteers working to clean the beach many joined in, happy to help contribute to such a worthy cause. At the conclusion of the day’s activities all of the participants agreed that it had been a fantastic experience to take part in, a great way to send a positive message and were pleased to have been able to volunteer to do something tangible close to home. The YCCS intends that this should be just the first of many initiatives aimed at protecting the environment, a theme which will take on ever-more importance across all of the Club’s activities. For further information please contact the Press Office.